The spoon is made of stainless steel and is very durable. Tableware is in very good condition with no cracks or splits. Used for salt, sauce, coffee, icecream, etc, is ideal tool for restaurant and kitchen. 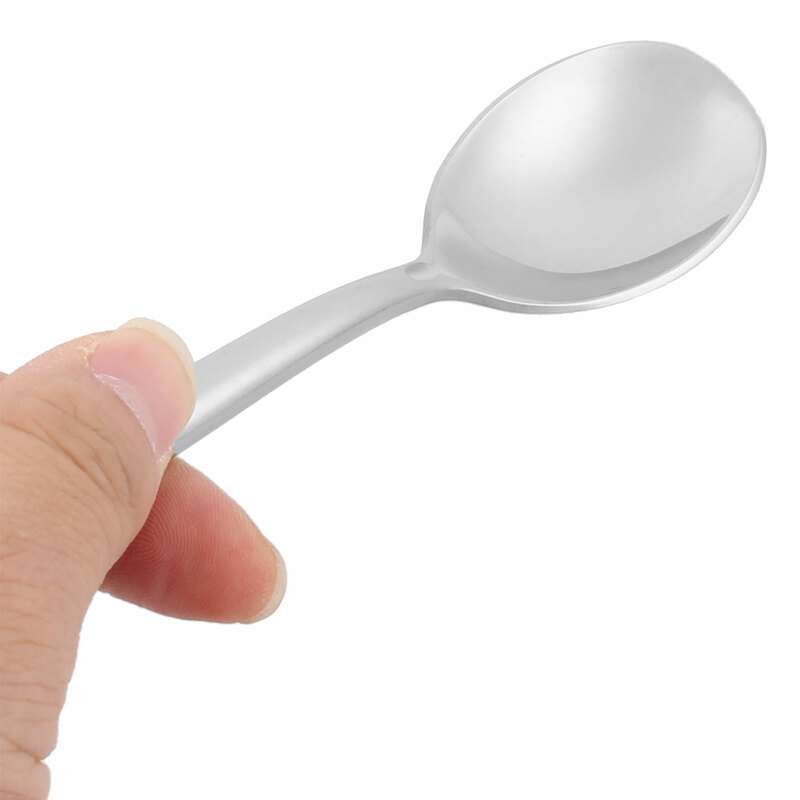 The slim holder parts of the spoon is very easy to hold. This spoon is very suitable for kitchen of the restaurant or home use. Simple style design easily matches existing flatware in your kitchen. Perfect gift for newlyweds or someone setting up housekeeping. Excellent choice of flatware for home, any restaurant or bar, beautiful and fashionable design, will be a good gift for friends who love cooking and parents as well.